Corporate Directions, Inc. (CDI) is an Asian-based management consulting firm founded in 1986. 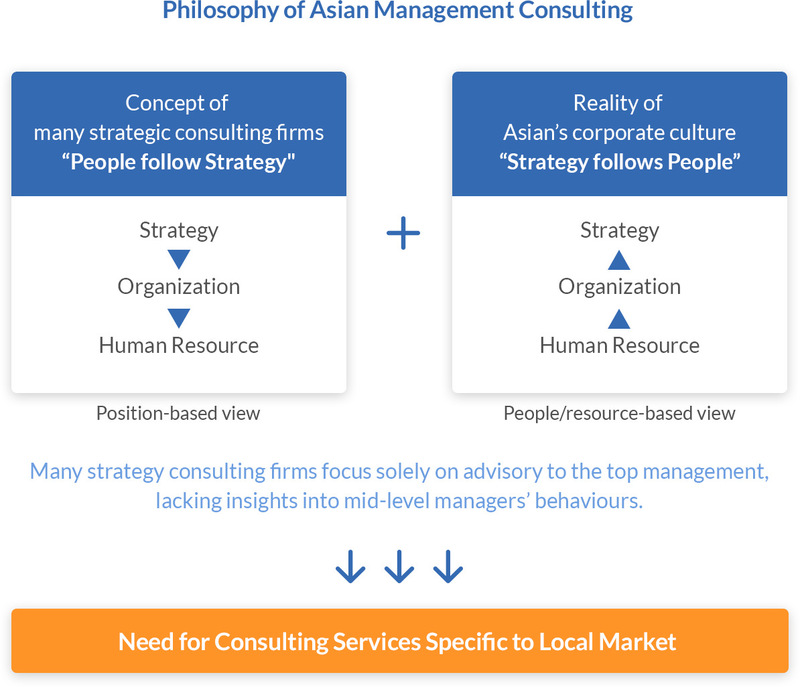 As a management consulting firm with an Asian origin, CDI offer customized solutions while considering the differences in background and culture to guide our clients to success. Besides strategy consulting services, CDI also assists clients in effectively implementing the proposed strategies. Today, CDI's services extend to non-traditional areas, such as investment banking and hands-on implementation services. CDI is the largest independent strategy consulting firm based in Japan. Our experts have more than 30 years of experience in Japan as well as China, Vietnam, Thailand, Malaysia, Singapore and Indonesia. The Japanese market is maturing, its economy slowing down and the population in decline. At the same time, many Japanese companies face bottlenecks in their growth. CDI has assisted numerous companies to analyze the state of their business, understand their marketplace, and restructure their strategy in order to get them back on the path to growth. Currently, economies in Asia are undergoing a period of rapid growth. At the same time, we should not overlook mismanagement that often occur within the economy and corporations during this time. In an era where the blind pursuit of short-term financial gains – development in purely quantitative terms – is no longer effective, from now on companies should also focus on the long-term and qualitative aspects of their development. Furthermore, other Asian countries are beginning to experience social issues such as the increasing needs of welfare and an aging population – issues that Japan is already facing. It is time for companies to change and look for new business chances in order to survive the evolving marketplace. With our experience in transforming companies’ management and our connections with Japanese companies, we provide customized solutions with the largest consideration given to the clients’ organizational structure and corporate culture. Solutions to challenges faced by businesses nowadays cannot be easily found through simple searches and inquiries. It requires forming a hypothesis from the ground up, improving it through multiple iterations of interactions between businesses and consultants. Let us be your partner during this time of turbulence and change. Copyright © 2016 Corporate Directions, Inc. All rights reserved.